The 2012 Hurricane Season is drawing to a close leaving behind a changed coastline. The storm surge of 14 ft, combined with a full moon tide, made New Jersey’s beaches 30 – 40 ft. narrower and swept the sand dunes into inland streets. Water flowed into lower Manhattan tunnels and flooded parts of Long Island and northern Jersey. 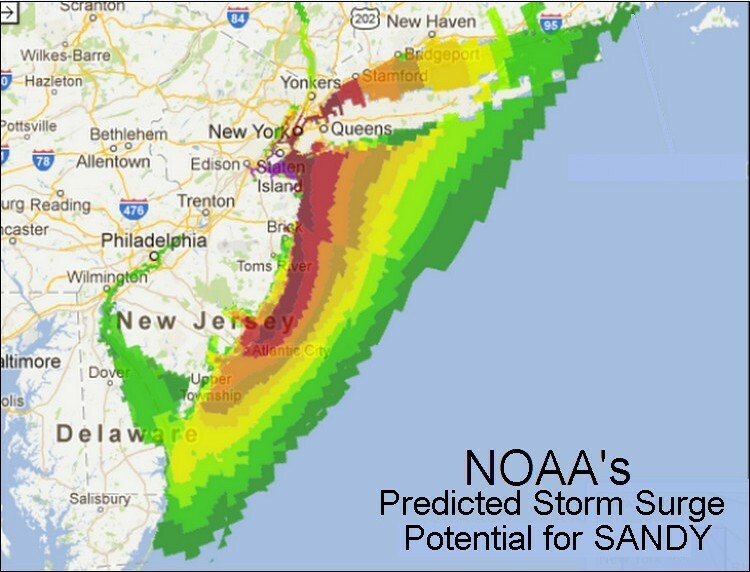 Before 2010, Storm Surge was a part of the Saffir-Simpson Wind Scale. The City of Jacksonville placed Hurricane Posts, including the one at Neptune Beach. But Hurricanes CHARLEY and IKE revealed that Storm Surge is related to factors other than wind speed. The shape of a shore line, the depth of coastal waters and bays and the angle of a storm’s approach to land are factors. But the most dominant factor is the size of the storm. Being only a Category 1 hurricane, SANDY was more destructive than Camille, Andrew, Hugo and yes, even Katrina! 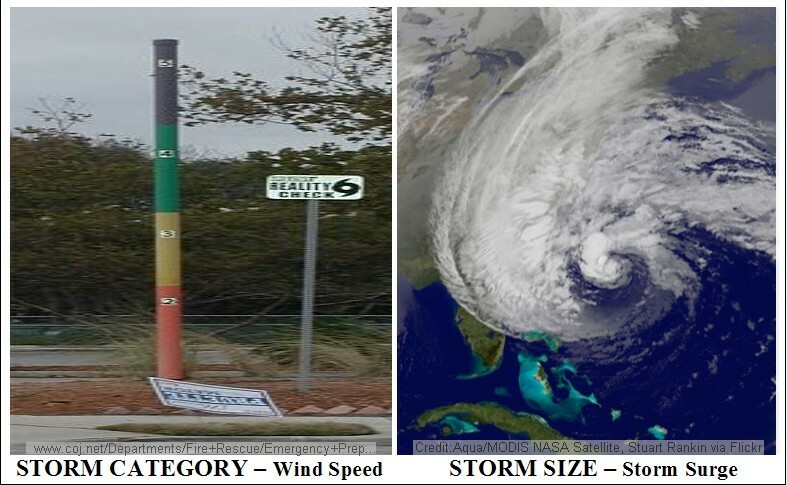 While SANDY’s Wind Potential was rated 2.9 on a 0 – 6 scale by NOAA’s Hurricane Research Division, it’s Storm Surge Potential was 5.8 on a 0 – 6 scale. The fact that some locations along our coast been hurricane-free for many decades, such as New York City before 2012, is no reason to rest on the past and be complacent about future storm threats. Floridians are familiar with “dodging the bullet” as we have watched many hurricanes bypass our state over the years. This years storms are now only history, but after a six month respite we’ll be facing a new round of tropical storms and hurricanes in 2013. Thank for your comment. For people who live near the coast, the Storm Surge can be more devastating than the wind. It relatively easy to shelter yourself from the wind, but it’s much more difficult to escape the rising water.